Thanks to our energetic building and grounds committee, the Blue Room has been freshly painted, and for the first time in years is actually blue! With that done, the oil painting of St. Paul’s home on Lancaster Street has been hung once more, so this seems a good time to share what we know about it. The view is of the church in winter, with many of the houses surrounding it on the south side of Lancaster between Hawk and Swan Streets also visible. It is particularly nice that we can see a bit of the rectory to the right of the church. As I’ve mentioned before, we have only one good photograph of that structure. We can date the scene very precisely. You will notice that the church’s brick, originally buff-colored, has been painted white. This painting was done in the summer of 1960, in an effort to help spruce up the declining neighborhood. That gives us the earliest date for the view. The latest possible date is sometime before spring 1964, by which time all the buildings to the west of the church (including the recotry) had been demolished. 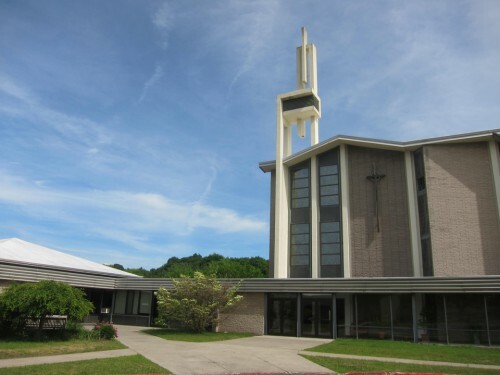 We can say then, with certainty, that the artist shows the church as it looked between 1960 and late 1963 or early 1964. We also know who donated the painting. According to an article in the Knickerbocker News for May 18, 1966, it was the gift of Dr. Susan Seabury Smith, then associate professor of Library Science at the State University of New York at Albany (now University at Albany), and director of curriculum and library services for Columbia High School in East Greenbush. But who was the artist? The painting is clearly signed “J Lyons,” but there is no other identification. The 1966 Knickerbocker News article says only that the painting was “by an artist named Lyon.” I’ve looked in period newspapers for a Capital Region artist named Lyons, but found nothing so far. One possible direction for the search would be to colleagues or friends of the donor, Dr. Smith. I noticed that the chair of the art department at Columbia High School in East Greenbush was Lawrence Lyons. His wife’s name was June. Is it possible that June Lyons was the artist? This entry was posted in Demolition, Lancaster Street Building on November 1, 2017 by Paul Nance. Did you see Chris Churchill’s excellent article “Empire State Plaza isn’t worth celebrating” in the Sunday, May 24, 2015 issue of the Times-Union? 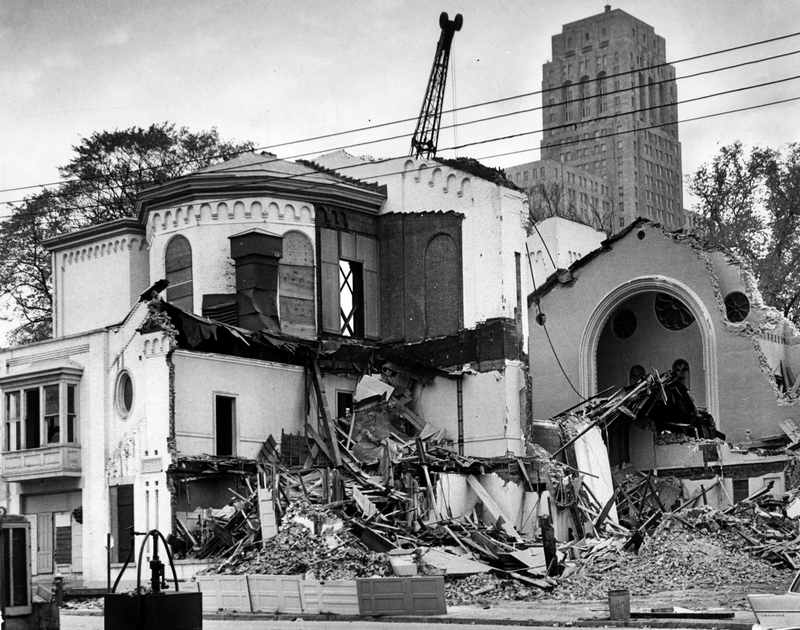 One of the illustrations is a photograph taken on October 19, 1964, showing the Jay Street facade of St. Paul’s Lancaster Street building, including the chancel and parish hall, just as demolition began. This is an image we’ve never seen, and we’d like to thank Chris for providing a high-definition copy for our records. For comparison, our archives has two color slides taken just before the Times-Union image. 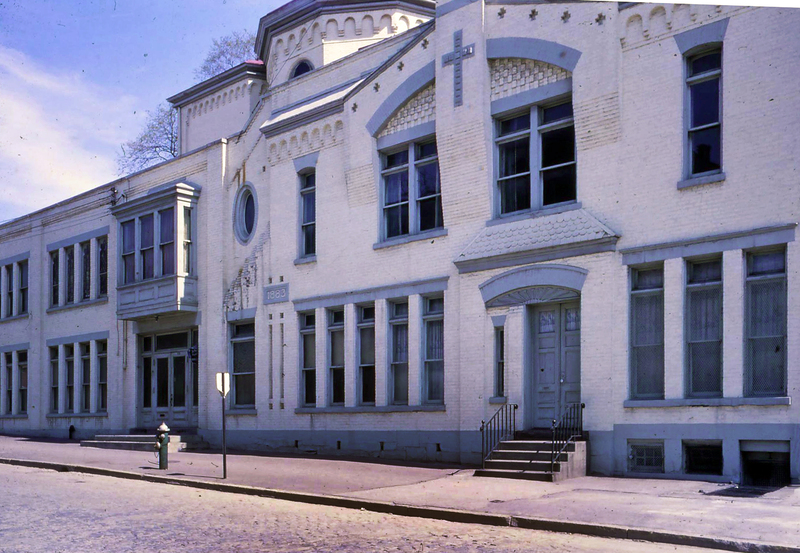 The first, a closeup of the parish hall, was taken in spring 1964, while the building was still in use. The other shows the buildings immediately before demolition began. Notice that the church and parish hall appear to have been the last structures standing in this part of the South Mall “catchment area”. Finally, here is another “after” photograph from our archives. 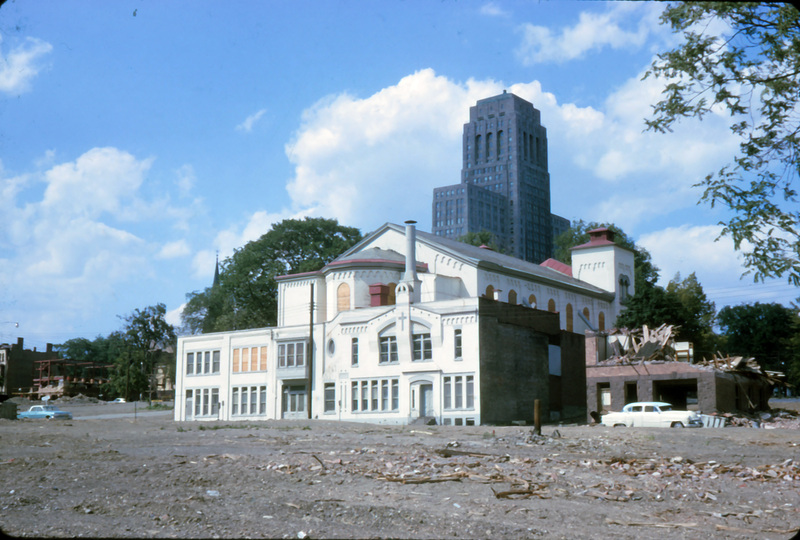 This November 1964 slide shows the Lancaster Street facade after demolition. The frame of the nave rose window can be seen leaning against the rubble. This entry was posted in Demolition, Lancaster Street Building on May 28, 2015 by Paul Nance.